Travel providers are interested in acquiring their competitors’ best customers, but elite status has a lock-in effect. You might want to defect from United to American or from Delta to Alaska, but it’s pretty tough to do that and start from scratch with a new airline. 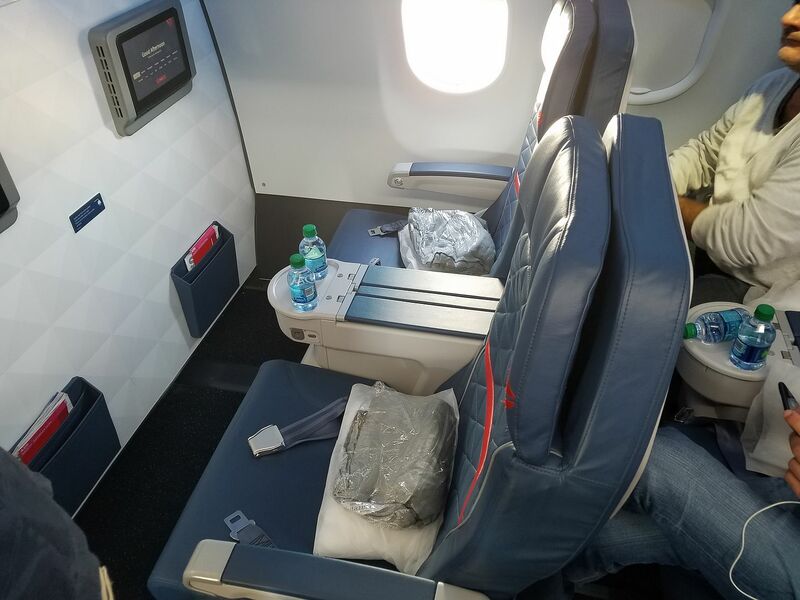 You’re well treated as an elite, and it’s rough out there flying without any status — although bottom tier of status can be approximated in many cases with the airline’s co-branded credit card. It’s hard to move your business when you’re used to getting upgrades! So airlines came up first with status matches (you have elite status with a competitor, we will give you that status on our airline to make it easier to move your business over) and then status challenges (we’ll let you earn the status in an expedited way but do want you to prove you’re moving some business over, and get in the habit of flying our airline). we give you the status after you’ve flown the reduced criteria in that 90 days. There can be several reasons to pick up status in addition to actually moving your business to a new airline, especially from a non-U.S. frequent flyer program. Maybe you’re flying that airline just once but it’s a special trip like a honeymoon. Maybe you fly that foreign airline’s US partner and want better treatment like priority check-in and boarding and lounge access when you do. So you’ll match to the foreign carrier and fly them once or never at all. Matches and challenges are usually once in a lifetime, so choose wisely when to request one. Many flyers, when they first discover status matches, will apply for all of them just for the ‘wallet candy’ because they can. However unless they’re going to open a new account and unless the program is bad at tracking these things they’re ‘wasting’ their one shot. Before requesting a match or a challenge sign up for the new airline’s frequent flyer program and gather proof of your current status — some airlines request copies of your current elite membership card, others an online screen shot of your recent account activity, some both. Some programs will only offer status if you can demonstrate you have flown or plan to fly the carrier (with an actual purchased ticket) because they don’t want to hand out status to people who will never be customers and may just want to use their new status on partners. Air Canada: Generally offers a status challenge for mid-tier elite requiring you to fly 18,500 miles in 90 days. E-mail status.match@aircanada.com to sign up, noting that in some cases they can take weeks to respond. Alaska: One of the more generous status matches they will even match to their top tier MVP Gold 75K level when you email elite.flyer@alaskaair.com with proof of your existing status. And they’re fairly quick on the response, too. Wait until October 1 if you want status to be valid for the entire coming year and not just through the end of the current elite year. American: will sometimes offer a status challenge and sometimes a status match. They are most likely to straight up match top tier Delta and United elites. Anyone can sign up for a paid challenge whether they have current status or not, though, so if you’re just getting started and plan to travel a lot this can be a useful path. And if you want to spend more they’ll even front you some status during the challenge rather than just granting elite status at the end. Note though that American’s challenges aren’t just about how much you fly — they’ve added minimum spend requirements for the challenge as well. Call to sign up for AAdvantage customer service. Cathay Pacific: Marco Polo Club will match status — generally from non-US, non-oneworld frequent flyer programs, when you email theclub@cathaypacific.com and share proof of current status as well as details of upcoming travel on Cathay Pacific. Status granted is usually one level down from what you have with your current airline. Delta: has a formal challenge program which now has a minimum spend requirement. El Al: Will offer a status challenge where they give you status for 6 months and give you an accelerated offer to keep that status. Email tier@elal.co.il with your proof of competing airline status. Emirates: offers to status match when you contact them with proof of current status though usually to one level below your current status. Finnair: matches to silver and has a Gold challenge but only for airberlin and Lufthansa Group elites. Hainan Airlines: offers status challenges when you email vip@hnair.com. Hawaiian Airlines: offers status matches up to their top elite tier when you email hm.loyalty@hawaiianair.com. Japan Airlines: this was news to me, but there’s one report of a status match from Alaska Airlines MVP Gold 75K to JAL Mileage Bank Diamond status, although details are scarce. I’ll want to see more examples of this before confirming it’s real and ongoing. LATAM: will generally offer a status match provided you have had a flight with them in the past year or have an upcoming ticketed flight. The best way to start the process is to tweet them @LATAMairlines. Southwest Airlines: will generally offer a status challenge for A-List. details that are public. The only thing to watch out for is that they may actually give you a status challenge for their 1K status which isn’t part of the published offer if you have top tier status with American or Delta. That can be good or bad — it has a higher threshold to keep status (35,000 flown miles in 90 days) and if you don’t hit that status you get nothing. Virgin Atlantic: last summer launched a status match program. You need to show at least mid-tier status not with Delta, and you need to show you have a paid ticket booked with Virgin. There are other airlines that will match or offer challenges. Policies change, promotions come and go. Please share your experience in the comments. An invaluable resource on status matches is the website StatusMatcher.com where flyers report their experiences — succcesses and failures — getting matched status. 2. Since we’re both EXP, is there any reason for both of us to do this, or only 1? I don’t know the nuances well enough to know whether both being Gold 75K has advantages in terms of upgrades and such (we’re always on the same record), or whether there’s a good reason to hold the second status match as an Ace for some future time. 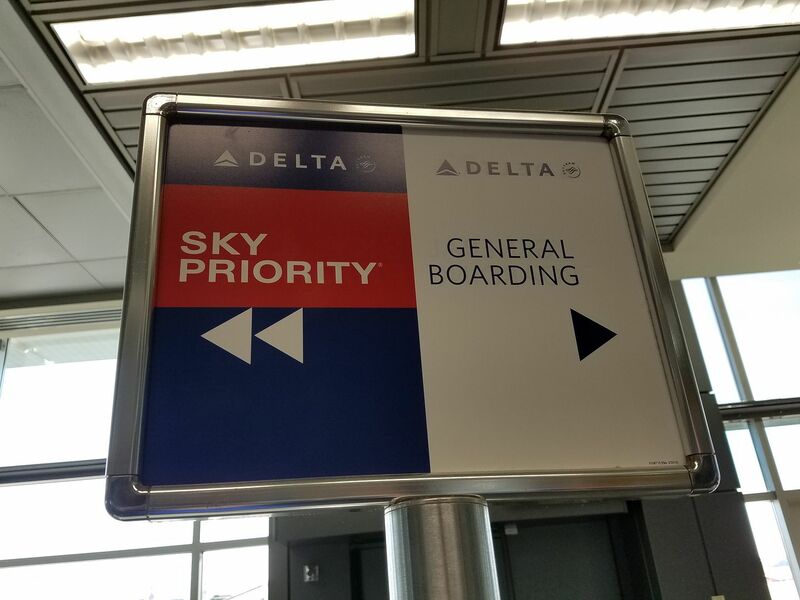 AA has the most generous boarding policy, without any need to status match. Merely walk up to the priority line, stand there like you own it, have your boarding pass ready, smile and say hi to the gate agent, scan your boarding pass, and walk down the jetway. No need for any phone call to match or a credit card for better boarding, all the overhead space you need will be available. Sure, you’re still stuck in a middle in the back of the plane, but you’re on early! In years of flying AA no one has ever asked me to wait for my boarding group. UA will match up to the status you request I believe, but not above it; if you ask for 1K trial (and get it), but only hit the Platinum trial numbers, you get platinum. But if you request Platinum, and hit the 1K target, you still get platinum. This was true as of a little less then a year ago – I was on 1K trial, but they goofed up on crediting one of my flights and my status went from Silver to Platinum when the challenge ended (later rectified by calling). United mentioned to me that they are willing to match me again, even though I have asked for the match before. The waiting period is 5 years. Another thing I’ve learned is that some companies do not match within the alliances, presumably this is a special agreement. Just moved to China and asked China Southern for a status match. The answer was a quick no. I thought being a Diamond on Delta and a 4 MM would make them think a little but not a bit. Oh well, I have to earn my status on China Southern the old fashioned way.